Quoted from Sam Willetts's poem "Garden" in New Light for the Old Dark (Cape Poetry/Random House, 2010) The collection is Willetts's first; it was nominated for the Forward Prize, Costa Prize, and T.S. Eliot Prize (view a reading). The short today is the official trailer for The Imitation Game, based on Andrew Hodges's 2012 biography Alan Turing: The Enigma. The film, starring Benedict Cumberbatch as Turing, will premiere at London Film Festival October 8 and be released more widely November 21. Princeton University Press plans to release a tie-in paperback later this year. 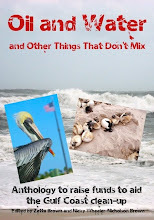 Read Chapter 1 of Hodges's book. ✦ Have you seen International Arts Movement's Tumblr site? Art submission opportunities, IAM exhibits, jobs in the arts fields, arts scholarships, and internship opportunities are just a few of the features you'll find there. ✦ Don't miss the portraiture (other images) of Annemarie Busschers of The Netherlands. 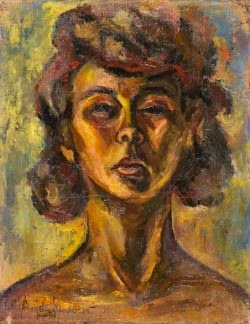 A BP Portrait Award winner in 2008, the artist exhibited work earlier this summer in Scope Basel 2014 and at Groninger Museum. Bisschers's marvelous artistry also can be seen at Escape Into Life. ✦ Commissioned for a celebration of Mandela Day, on July 18, 2014, "Mandela Day Shorts", below, comprises three moving-image artworks from six emerging South African and British visual artists, animators, and musicians. The three are "The World Is Flat", "Pied Piper's Voyage", and "Vividism". Also see this post at The Space, which includes a curator's introduction and statements from artist Kent Andreasen and musicians Auntie Flo and Esa Williams. My thanks to the British Council for making the videos available. ✭ In Roanoke, Virginia, Taubman Museum of Art continues through September 6 "Jennifer D. Anderson: Resolute Understandings of Fragile Things", a mural that features Anderson's hand-cut stencils, inspired by objects around the museum, that have been printed on a retaining wall. Anderson is an associate professor of art at Hollins University who works in printmaking, paper-cutting, and drawing. See an image of the mural. On September 13, the museum opens "Between Two Worlds: Annette Nancarrow in Mexico and America". Running through January 17, 2015, the exhibition will present more than 40 works spanning nearly 30 years, highlighting Nancarrow's artistic development and achievements. Nancarrow's painting Watermelons is in the collection of the National Museum of Women in the Arts in Washington, D.C.
Oil on Canvas, 23" x 19"
✭ In Texas, The Contemporary Austin presents "Do Ho Suh" from September 20 to January 11, 2015. The exhibition will feature a multi-part installation that includes architectural structures, documentary films, and drawings. Images are available at the exhibition link. ✭ Continuing through September 7 at Maine's Portland Museum of Art is "Richard Estes's Realism", co-organized with the Smithsonian American Art Museum, Washington, D.C., where the show will be on view beginning October 10. 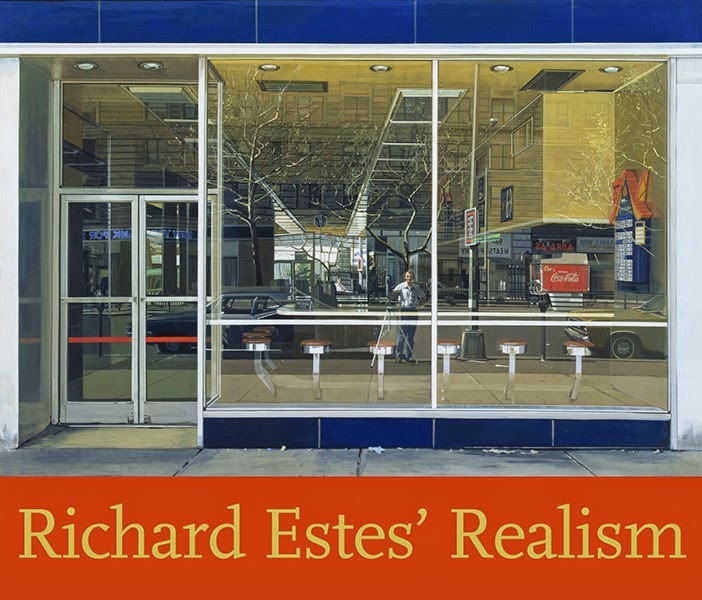 The first solo exhibition of Estes's work in the United States in more than two decades, "Richard Estes's Realism" showcases 50 of Estes's paintings, including those of New York City facades in the late 1960s and the woods of Mount Desert Island, where Estes spends time every year. A catalogue accompanies the show. ✭ Virginia Museum of Fine Arts continues through October 19 "Ryan McGinness: Studio Visit", a look at the contemporary artist's creative process for VMFA's commissioned work by McGinness, Art History Is Not Linear (2009), a 16-panel, 32-foot-long painting with 200 icons inspired by works in the museum's collection. The exhibition comprises three parts: studio practice, objects from the collection and McGinness's sketches and final images, and early works by the artist created while growing up in Virginia Beach. Today, Thursday's Three looks at a trio of art books forthcoming this fall. 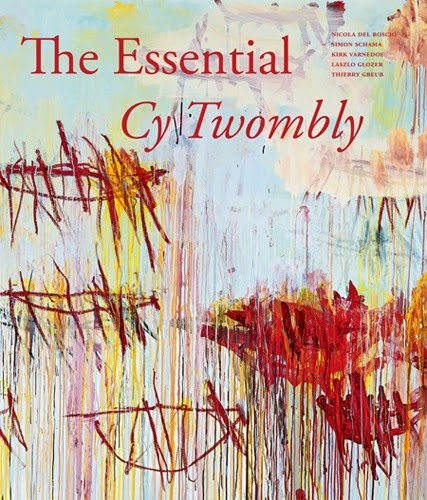 ✭ The work of painter Cy Twombly (1928-2011) is the subject of The Essential Cy Twombly, to be published at the end of September by D.A.P./Distributed Art Publishers. Edited by Nicola Del Roscio, Twombly's collaborator and trustee, the book includes essays by Lazlo Glozer, Thierry Greub, Kirk Vanedoe, and Simon Schama. In addition to an overview or survey of the artist's oeuvre, it examines the most important of Twombly's paintings, drawings, sculptures, and photographs. ✭ A survey of South African-born painter Marlene Dumas's work from the mid-1970s to today is featured in Marlene Dumas: The Image as Burden, expected to be published in the United States in mid-November by Tate/D.A.P. In addition to essays examining the artist's themes and motifs throughout her career, the book, which is the catalogue accompanying exhibitions at Tate Modern, Stedelijk Museum in Amsterdam and Fondation Beyeler, includes an interview with the artist by Theodora Vischer, and a short story from Colm Toibin written in response to Dumas's paintings. The other editors and contributors are Leontine Coelewij, Kerryn Greenberg, and Helen Sainsbury. 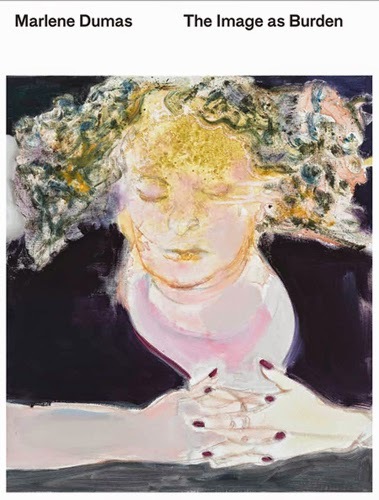 The Stedelijk's exhibition "Marlene Dumas: The Image as Burden", which showcases more than 100 drawings and paintings, opens September 6 and will continue through January 4, 2015. It will travel to Tate Modern in London on February 4, 2015, and to Fondation Beyeler in Basel on May 30, 2015. ✭ Forthcoming at the end of October from the Museum of Modern Art, New York, is Robert Gober: The Heart Is Not a Metaphor. Ann Temkin contributes the introduction and Hilton Als an essay. Additional contributors are Claudia Carson, Pauline Pabocha, and Christian Schneidemann, who provides the Afterword. The book is being published in conjunction with the first large-scale survey of the artist's work in the United States, and spotlights his output in all media, including sculpture, drawing, printmaking, and photography. The artist was involved in the book's creation and contributed images from his own archives, including never-before-published photographs of works in progress. The exhibition "Robert Gober: The Heart Is Not a Metaphor" will open at MoMA on October 4 and continue through January 18, 2015. Approximately 130 works will be on view. Conceptual artists leap to conclusions, logic cannot reach. and ethics are really very much the same kind of thing. Below is the trailer for Sol Lewitt (Icarus Films, 2012), a documentary written and directed by Chris Teerink. The film is described as "not a biography" about the famed post-war American conceptual artist but "a complete transformation of space by a simple idea". Or, as a synopsis for the film states, "The filmmaker explores the strength of LeWitt's conceptual philosophy. . . ." The idea or concept is the work itself. Teerink, according to his Director's Statement, saw a retrospective of LeWitt's work at Stedelijk Museum in 1984 and was immediately taken by "[t]he fact that a concept can lead to, or produce, a work of art. . . ." Terrink says that it is no exaggeration that LeWitt's work "changed my life." The recipient of the Filaf d'Or and Prix du meilleur Portrait awards, the documentary, which includes interviews and rare archival material, in addition to footage of the 2011 installation of LeWitt's Wall Drawing #801: Spiral in Maastrick, in the Netherlands, was shown May 7 of this year at Film Forum in New York City and subsequently has screened elsewhere. Last year it was in a number of film festivals, including Haifa International Film Festival and Vancouver International Film Festival. the attention of the children. Motionpoems continues to create stellar work. Among its recent inspired releases is All American, filmed with dancer Jasmine Morand near Switzerland's Lake Geneva and at Cern's Large Hadron Collider, a fascinating locale for the videopoem. Featured is David Hernandez's marvelous poem "All American" (text), which appears in The Best American Poetry 2013 (Scribner, 2013) and was a selection for Pushcart Prize XXXVIII (2014). Richard Johnson is the filmmaker. Motionpoems has issued a Call for Submissions to "The Great Motionpoems Loopfest 2015", to be held April 10, 2015, in Minneapolis, Minnesota. The deadline for submissions is October 31.
information buried in your body. 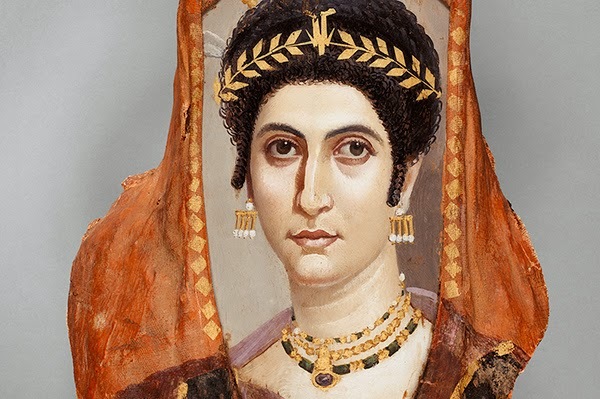 It is still alive until you are not. . . .
Today's short is a video about a fascinating mummy portrait on display at the Getty Villa. The narrator describes 2,000-year-old "Isadora", a woman of wealth and status, who "knows exactly who she is." My thanks to The Getty Iris blog. The portrait also may be seen at Google Cultural Institute. ✦ The Langlais Art Trail is a recently launched site that maps the more than 40 Maine communities and more than 50 institutions with art by Bernard Langlais (1921-1977). It provides information about museums, libraries, parks, and schools where the artist's work may be seen and enjoyed. Langlais and his wife Helen Friend Langlais lived on a 90-acre property in Cushing, Maine, that Kohler Foundation of Wisconsin (dedicated to preserving art environments and collections) purchased. Colby College, which received more than 2,900 of Langlais's artworks as a bequest, donated the works to the foundation, which has undertaken to conserve them and place them in nonprofits in Maine and elsewhere. View the Art Trail Map. A sculpture preserve is expected to open this fall and will be accessible to the public. ✦ Electric Objects claims, "There's more art on the Internet than in every gallery and museum on Earth." That presents a problem ("But many of these beautiful objects are trapped.") in search of a solution: "a new way to bring art from the Internet into your home" via a high-def screen and an integrated computer called EO1. Learn more about this creative project at EO's Kickstarter site. EO also has launched the search for an Artist in Residence / Beta; in fact, it will select 10 artists to explore and report back on its prospective platform. 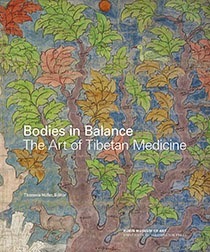 ✦ In collaboration with The University of Washington Press, New York City's Rubin Museum of Art published Bodies in Balance: The Art of Tibetan Medicine (2014), the catalogue to the Rubin's terrific exhibition, which I viewed this past April (see image at right). Edited by Theresia Hofer, the book contains more than 200 images as well as essays on contemporary practice, pharmacology, astrology, history, and more. The exhibition, "Bodies in Balance: The Art of Tibetan Medicine" remains on view through September 8; watch the preview video. ✦ The video below, from Art21, features Marela Zacarias working on her Art in Embassies commission Red Meander (2014), destined for the U.S. Consulate in Monterrey, Mexico. Read the process notes, "Marela Zacarias Goes Big & Goes Home" by Jonathan Munar, too. Additional videos are available on Zacarias's Website at the link above. 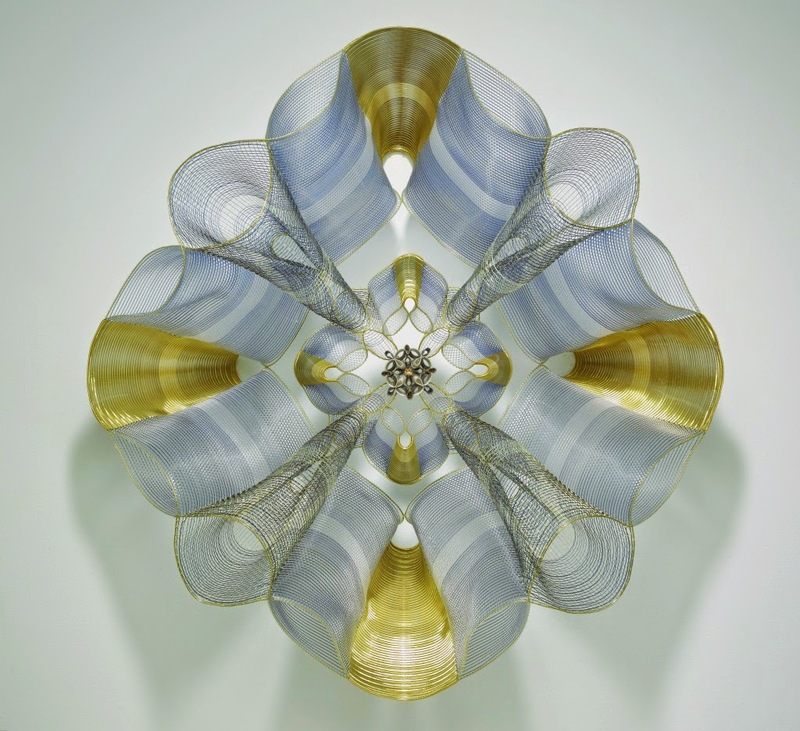 ✭ Hawaii's Honolulu Museum of Art recently opened "Loomless: Contemporary Fiberworks from the Museum's Collection". Continuing through January 25, 2015, the exhibition features the work of Colombian artist Olga de Amaral, Norma Minkowitz, Joan Livingstone, Ferne Jacobs, Barbara Cooper, and John Davis, among other contemporary and innovative artists whose techniques include paper making, stitching, assemblage, sculpture, and use of other nontraditional materials such as leather, paint, and wood. 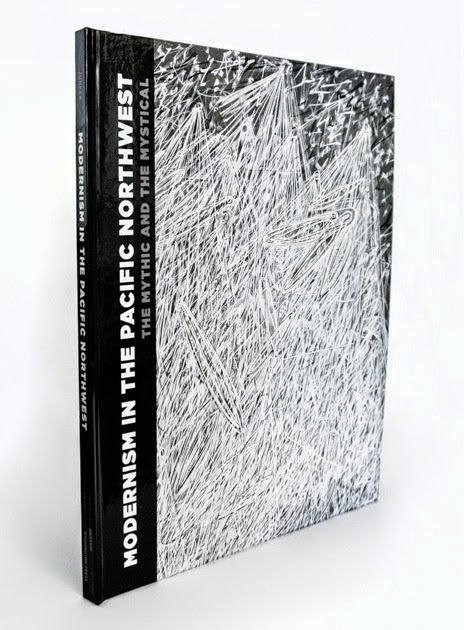 ✭ Continuing through September 7 at Seattle Art Museum is "Modernism in the Pacific Northwest: The Mystic and the Mystical". The ticketed exhibition features the work of Mark Tobey, Morris Graves, Kenneth Callahan, and Guy Anderson; together they were known in the late 1930s and 1940s as the "Northwest School" of modern art. Images, videos, an interactive timeline, biographical information about the artists, and educator resources are found at the exhibition link. A catalogue, co-published with The University of Washington Press, accompanies the show. SAM has a particularly rich collection of the artists' work. 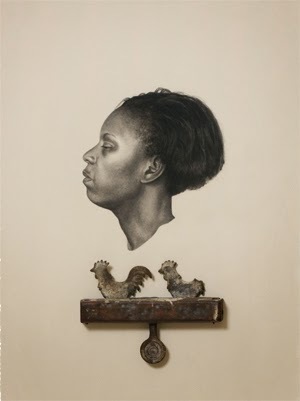 ✭ Jepson Center, part of the Telfair Museums, Savannah, Georgia, opened August 15 "Whitfield Lovell: Deep River". The exhibition, which runs through February 1, 2015, examines the internationally renowned artist's tableaux, mixed media drawings from the Kin series, and Deep River (2013), a multimedia installation that occupies a 2,500-square-foot gallery space. Also featured are Lovell's charcoal portraits on wooden objects. See the exhibition link above for more detailed information about the show. Related programming includes "Blank Page Poetry Performance" on October 16, which will include river stories read by local artists and students, digitally projected text, and drumming and dance; and a free Family Day on November 1. 30" x 22-1/4" x 4"
✭ Ohio's Cincinnati Art Museum opens "Conversations Around American Gothic" August 30. The exhibition, which will continue through November 16, is a collaboration with Art Institute of Chicago. For the first time at CAM, Grant Wood's well-known painting American Gothic will be shown with his Daughters of Revolution, as well as work by "Regionalist Movement" artists including John Steuart Curry ("Baptism in Kansas") and Thomas Hart Benton ("Cradling Wheat").
. . . I shoot what catches my eye. . . . Please join me today at Escape Into Life, where I've posted a new Artist Watch column. I'm delighted to present a selection of images by Kevin Nance, art photographer, photojournalist, and freelance writer based in Chicago, Illinois. The post also includes an Artist Statement and brief biographical information. Can you imagine a Paris whose buildings, bridges, and monuments have no more than one or two floors? See how, in Paris, Archi'Illusion, Claire and Max re-conceive the architecture of the City of Light. A technical explanation of their achievement is found at Menilmonde (translation tool available). "Celestial Orbit", the music in the film, is by Paul Mottram. Paris, Archi'llusion from Claire&Max on Vimeo. My thanks to The Creators Project, where I first saw the film. sparklin' like a disco ball. enough she'd lead, I'd follow. off the lights, take our bow. I am the man who has seen affliction. . . . If you are unaware of the New York-based nonprofit Spark and Echo Arts, take some time to browse its terrific offerings in Browse Art. The group's concept is to create or commission a work of art, music, theatre, poetry, dance, or film for every passage of the Bible, thereby "creating the world's largest multi-disciplinary illumination of the Bible" and "inspiring a refreshing type of artistic dialogue". New work is uploaded to the online gallery every Monday. Below is just one example of the creativity and inspiration you'll find on the site. In Happiness is God, a relatively recent addition to the site, Ryan Pendell, of Omaha, Nebraska, responds to the theme of destruction and Lamentations 3:1-18. In his statement about the work, Pendell writes, ". . . I took the text and destroyed it. I cut it up into pieces. Then I tried to figure out what could come out of it. The poem exists in a liminal space. . . ." His creation is profoundly poetic. Happiness Is God from Spark and Echo Arts on Vimeo. of a bird — completely loses its indifference and familiarity. Quoted from Martin Heidegger "The Fundamental Question of Metaphysics" (1935) The article is found in Chapter One of Introduction to Metaphysics (Yale University Press, 2000). Among Heidegger's many other books is Poetry, Language, Thought (Harper Perennial Modern Classics, 2013), which includes "The Origin of the Work of Art" and "What Are Poets For?" Today's short is the trailer for the film Song of the New Earth from Woody Creek Pictures. 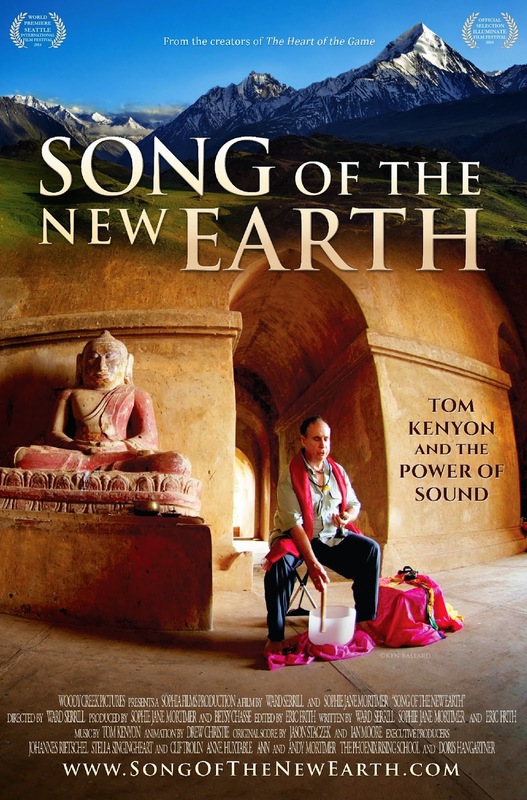 The documentary relates the incredible story of Tom Kenyon, a country singer, brain scientist/psychotherapist, and shaman and his efforts to "merge modern science, ancient mysticism, and sacred sound to awaken humanity's potential." The documentary, directed by Ward Serrill, premiered this year at the Seattle International Film Festival. Screenings are upcoming in Portland, Oregon; Port Townsend, Washington; and San Antonio, Texas. ✦ The Public Domain Review, a favorite site of mine, recently published photographs by Julia Margaret Cameron: "Julia Margaret Cameron in Ceylon: Idylls of Freshwater vs. Idylls of Rathoongodde". Included is an interesting story of Cameron's move to Ceylon with her husband and the influence of her new environment on her photography. ✦ Disability Arts International is a relatively new Website that promotes the work of artists with disabilities. The site, developed by the British Council, includes films, blogs, and collaborations among artists worldwide. The resources section provides case studies, searchable databases of organizations, and arts policy. Artist and company profiles may be searched by art form, country, or curated lists. ✦ If you've been to the wonderful Phillips Collection in Washington, D.C., you know the museum has its very own wax room by Germany's Wolfgang Laib. Most recently, Laib celebrated the completion of an underground wax chamber, more than 130 feet long, titled From the Known to the Unknown—To Where is Your Oracle Leading You (2014). Laib created the permanent installation on the grounds of La Ribaute, Barjac, France, a site that formerly was a silk factory and is now Anselm Kiefer's studio. Read a post about Laib's new wax room for Kiefer at Experiment Station, the Phillips Collection's blog. Phaidon in 2013 published a post about Kiefer's studio. ✦ Today's video, from Art Beat at PBS Newshour, features sculptor and painter Humaira Abid, a Seattle resident originally from Lahore, Pakistan. View her portfolio. ✭ In "Postcards from America: Milwaukee", at Milwaukee Art Museum, 11 Magnum Photos artists — Bruce Gilden, Jim Goldberg, Susan Meiselas, Martin Parr, Paolo Pellegrin, Mark Power, Alessandra Sanguinetti, Jacob Aue Sobol, Alec Soth, Zoe Strauss, and Donovan Wylie — present their perspectives on such subjects as the State Fair, highway infrastructure, women laborers, and students in Black River Falls. The photographers visited Wisconsin between August 2013 and April 2014 to create a collective body of work that provides an opportunity to see the region anew through outsiders' eyes. The exhibition continues through September 28. The exhibition images will become part of MAM's permanent collection. ✭ Fuller Craft Museum, Brockton, Massachusetts, continues through November 23 "Game Changers: Fiber Art Masters and Innovators". Focused on innovations in traditional techniques and materials, the exhibition features the work of some 50 past and present fiber artists, including Olga de Amaral, Linda Behar, John Cardin, Lia Cook, Eric and Martin Demaine, Arline Fisch, Chunghie Lee, Karl Lonning, and Jane Sauer. Highlights include a quilt woven from mylar and holographic film and a "Whisker Organ", comprising real cat whiskers that play organ music when stroked. 36" x' 36" x 15"
✭ The exhibition "Kathe Kollwitz: A Social Activist in the Era of World War I" continues through November 16 at Dallas Museum of Art. Drawn from the museum's collection, the installation spotlights lithographs, etchings, and woodblock prints by Kollwitz (1867-1945). Complementing these are artworks by Ernst Barlach, Max Pechstein, and Max Pollak. ✭ Oregon's Portland Art Museum is presenting through September 21 "The Art of the Louvre's Tuileries Garden", a special exhibition that explores the art, design, and evolution of the most famous garden in Paris, France, and celebrates its designer Andre Le Notre (1613-1700). Included in the show are more than 100 sculptures, paintings, photographs, and drawings by acclaimed European and American artists of the 17th through 20th Centuries, among them Pissarro, Manet, and Cartier-Bresson. A full schedule of programs and events, including lectures and tours, is ongoing. View the Image Gallery. A fee is charged for admission to the exhibition; tickets may be purchased in advance online. calligraphy, music, and graffiti. . . . I learned recently that the Smithsonian American Art Museum in Washington, D.C., has acquired late artist Purvis Young's The Struggle (1973-1974), which is on view in the East Wing of the museum. Like his other work, The Struggle, too, is painted on scavenged wood, which Young would gather from around the Overtown neighborhood in Miami, Florida, where he lived. It's a marvelous example of a cityscape that, as SAAM's curator of folk and self-taught art Leslie Umberger writes, "is iconic of Young's themes of challenges and persistence." Highly prolific, Young (1943-2010), who was born and died in Miami, is the subject of the documentary Purvis of Overtown (Souls Grown Deep Foundation), below, which is well worth the time to view. PURVIS OF OVERTOWN from Souls Grown Deep Foundation on Vimeo. in the dark with no oar. domain of the last gecko. glanced, her gaze, the echo back. I invite you to try your hand writing a found poem using two or more of these fragments. of human possibility and dignity. . . .
Below you'll find Richard Michelson's interesting 19:09-minute interview with poet Gregory Orr, who also is an essayist, nonfiction writer, and lecturer on poetry. The interview was taped June 12, 2014, for WHMP's The Bill Newman Show: Northampton Poetry Radio. During the interview, Orr talks about the death of his brother, his social activism, the writing of lyric poetry, and his recent work, which he says he sees as a continuum, "part of a flowing thing" emanating from all that has come before. Orr, who lives in Charlottesville, Virginia, has published at least 10 poetry collections, most recently River Inside the River (W.W. Norton, 2013), the chapbook The City of Poetry (Quarternote Chapbook Series, Sarabande Books, 2012), and How Beautiful the Beloved (Copper Canyon Press, 2009). Orr leads a poetry workshop at Glen East, which this year was held at Mt. Holyoke College in South Hadley, Massachusetts. it helps to be in love. . . . 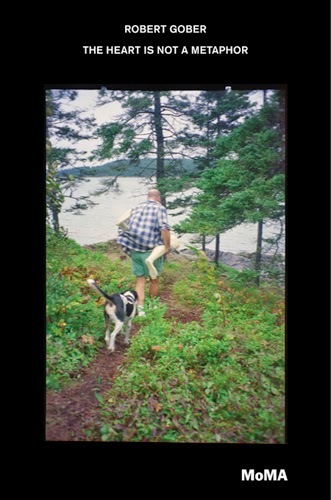 Quoted from Mark Nepo's poem "Behind the Thunder"
In these dog days of August, nothing is better than this short featuring poet Billy Collins waxing eloquent on dog-speak. ✦ In conjunction with Art Education for the Blind, Art Beyond Sight, New York City, aims to make the visual arts accessible to people who are blind or have other visual impairments. The nonprofit works locally with schools and museums, including, for example, Rubin Museum, and nationally and internationally. Read "VIP Experience: Visually Impaired Persons See Art Through Sensory Tours", New York Observer. ✦ The Getty Research Institute has acquired its largest single collection: Harald Szeemann Archive and Library. ✦ Our National Gallery of Art in Washington, D.C., has made fully accessible online at least 200 videos about the permanent collection, exhibitions, and education programs. The content may be embedded on personal Web pages. ✦ Looking for an app that creates artwork portfolios? Try the iPad app Artbinder. ✦ Below is a very interesting Art21 process video in which Edli Sudbrack of the artist collective assume vivid astro focus demonstrates and talks about his labor-intensive use on canvas of Krink K-60 paints, usually used by graffiti artists. ✭ Works by celebrated glass artist William Morris are on view through November 9 at the San Juan Islands Museum of Art in Washington State. The exhibition, "Illuminated", is the inaugural show for IMA's new building by Richard Hobbs, which has a dramatic glass atrium. View the documentary about Morris, Creative Nature: A Portrait of an Artist Alive. ✭ "Richard Tuttle: A Print Retrospective" continues through October 19 at Bowdoin College Museum of Art, Brunswick, Maine. Organized with Tuttle's help, the exhibition presents more than 100 of the artist's works, from the 1970s to today; some are being shown in a museum for the first time. Images are available at the exhibition link above. A catalogue accompanies the exhibition, which is organized chronologically and addresses Tuttle's tools, innovative approaches to traditional printmaking processes (e.g., etching, woodblock, lithography), and collaborations with master printers and publishers such as BAE Editions, Crown Point Press, and Universal Limited Art Editions. Included is Tuttle's When Pressure Exceeds Weight (2012-2013), a series of 11 prints/papers in which ink is impressed variously onto paper pulp as through osmosis (image of one print in the series; others may be seen at the ULAE link above). ✭ Continuing through January 11, 2015, at New Mexico's SITE Santa Fe is "Unsettled Landscapes", part of a biennial exhibition series, "SITElines: New Perspectives on Art of the Americas". The 2014 show is devoted to work of contemporary artists who address the themes of landscape, territory, and trade. The second exhibition will be in 2016 and the third in 2018; each is organized by a different team of curators. Unsettled Landscapes 2014 - SITElines from SITE Santa Fe on Vimeo. ✭ Below is a short film about the first major exhibition of British folk art on view at Tate Britain through August 31. Among the objects in the show are Toby jugs, crockery-covered tin trays, quilts, shop signs, and ships' figureheads and carousel horses. Among the artists whose work is presented are Cornish painter Alfred Wallis, ship carver Arthur Andersen, and embroiderer Mary Linwood. Images are available at the exhibition link above. The show will travel to Compton Verney, Warwickshire, where it may be seen from September 27 to December 14. 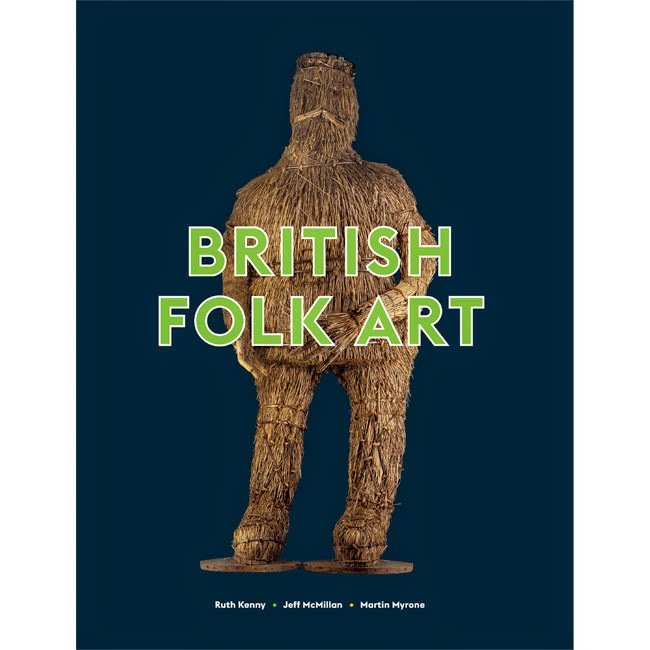 A fully illustrated catalogue, British Folk Art (Tate Publishing), image at right, above, is available. 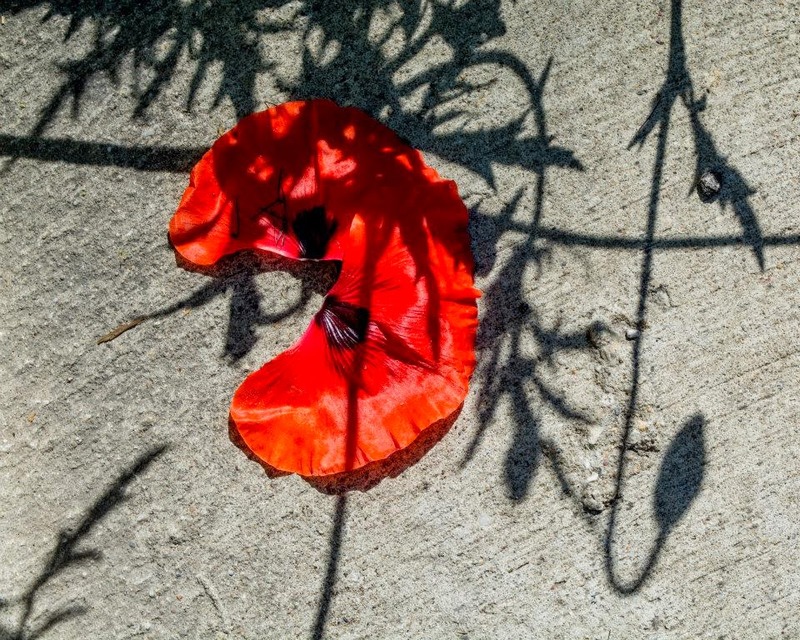 Today, Thursday's Three highlights a trio of poetry and literature sites of interest. ✭ Poet John Siddique introduced me to Love Beyond Measure, where you will find music video performances, beautiful animations, films, readings, and text, in addition to artist biographies. Three of John's commissioned poems, each based on a well-known love story, are there: "Dido and Aeneas Call It Love (Dido's Note)", "The Butterfly Lovers Liang and Zhu", and "Chunhangjeon". Be sure to browse through the drop-down menus to find all the delights here. ✭ A wonderful resource, no matter where you live, is the Saison Poetry Library, the primary repository of modern and contemporary poetry funded by the Arts Council England. It contains more than 200,000 items and is the home of Poetry Magazines, a free and ever-growing full-text database for UK poetry magazines of the 20th and 21st centuries. Online features include lists of current UK imprints that publish poetry, poetry competitions, online poetry magazines, "lost" quotes, virtual exhibitions, and much more. A Poetry Scene News section keeps users apprised on goings-on in the poetry world, in the United Kingdom and beyond. ✭ Poetry features, conversation, and news from and about Indiana Poet Laureate and professor of English George Kalamaras (read my profile), whose collection The Hermit's Way of Being Human is forthcoming, is found at the site The Wabash Watershed. A feature at the site is A Gray Barn Rising, where Kalamaras posts videos featuring such poets as Jack Spicer, Thomas McGrath, Edith Sodergran, Robert Desnos, and Richard Hugo. Also available at the exhibition link above is a "Matisse: First Look" preview.